SPG USA, Inc is the U.S. office of SPG Co., Ltd which has accumulated long experiences on manufacturing geared motors, has substantial know how for pursuit of customer worth, maximizing motor performance and efficiency, and a wide scope of technical support. Additionally we are so proud of our skilled engineers and technologically advanced facilities, which all make it possible to guarantee our customers with the best products not only to the domestic market, but also the international markets. We have absolutely sufficient capacity to offer optical design, manufacturing and supports based on accumulated knowledge, and experiences. WE ARE HERE TO SERVE/SUPPORT YOU LOCALLY!!! SPG USA, Inc serves customers with dedicated passions and efforts to satisfy any customer needs and requirements. 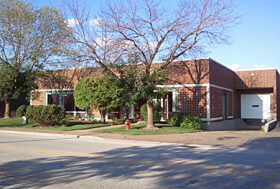 We have most our motors and gear heads in our facility here located in Elk Grove Village, IL. SPG USA, Inc also has distributors and representatives throughout United States to provide technical supports and delivery locally. SPG USA, Inc will be glad to answer any questions that you may have regarding our products and service.